Just wanted to stop in and let you know that I am out traveling the world this spring/summer while I’m single, young, free, and not so broke! So while I have been devouring more than my fair share of Southeast Asian culinary delights, I have to be honest in saying that my burger consumption has decreased drastically, as many of these places are…well…not known for their In n Out equivalents. I had a decent burger in Taipei at a burger joint run by some kiwis, but had an absolutely dreadful excuse for a burger at a Cambodian fast food joint (I had to try it, it was called BBWorld!) But really not much to blog about in this realm. 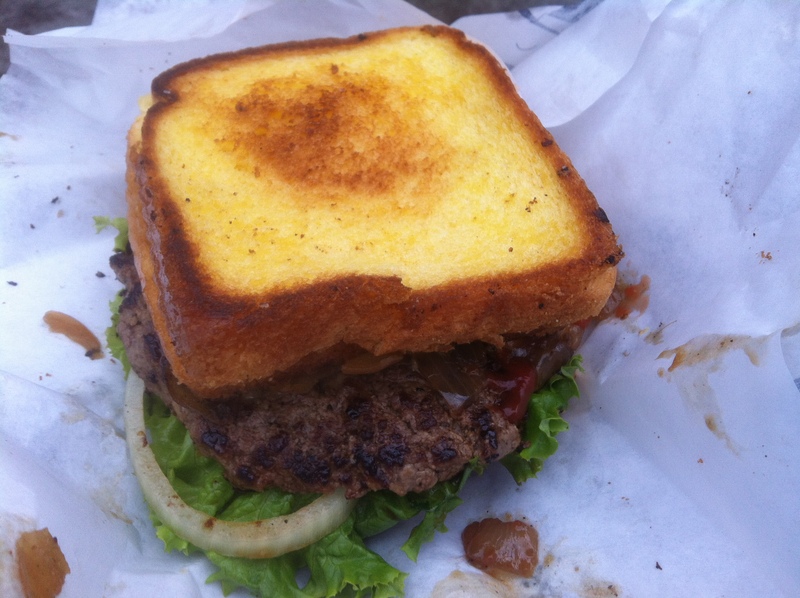 But fear not – I’ll be back to burger blogging this fall! Stay tuned! When my turning-21 good friend said she wanted to celebrate at Triple Rock in Berkeley, I felt silly because I’d never heard of it! An alehouse on Shattuck I didn’t know? Dang, I must be slowing down. But hey, there it is, right on Shattuck near Hearst. Looks like the kind of place that would have an hourlong wait on a weekend night. Fortunately we were here on a Tuesday night, so we managed to squish six people into a four person booth (at a packed house). The joys of being in your early 20s, right? And I’ve gotta say that after a long day of work in which I darn near sprained my left pinky toe, a burger and a beer was pretty much top on my list of things I could possibly want. Walking was definitely an issue, but eating would be no problem. This is first and foremost a brewery, so I had to start with a beer. A general rule of thumb for me is that IPAs (or anything that’s really hoppy) pair really well with burgers. Why is this you ask? IPAs (or India Pale Ales) are very hoppy beers (i.e. they have lots of hops in them) – I’d describe the hoppy taste in the same ballpark as bitterness. As a result, the intensity can be too much for some. Not for me though – I find that an IPA before a meal primes my palate for rich, salty foods. And once I am enjoying said gustatory indulgence, the beer helps keep a nice balance on my taste buds. I was in luck – Triple Rock’s #1 seller is their IPAX. It delivered on all levels – I love citrus-y, hoppy beers. And sure enough, the more I sipped it, the more I was ready for a burger. So let’s move on to the meat of the matter. In my experience, breweries tend to be extremely hit or miss on the grub side of business – their food is either great, or decidedly meh. So I approached the menu with guarded excitement. A couple choices stood out for me, but I was pretty easily won over by a great combo sported by The Mesa burger: pepper jack cheese, smoked bacon, and chipotle mayo. 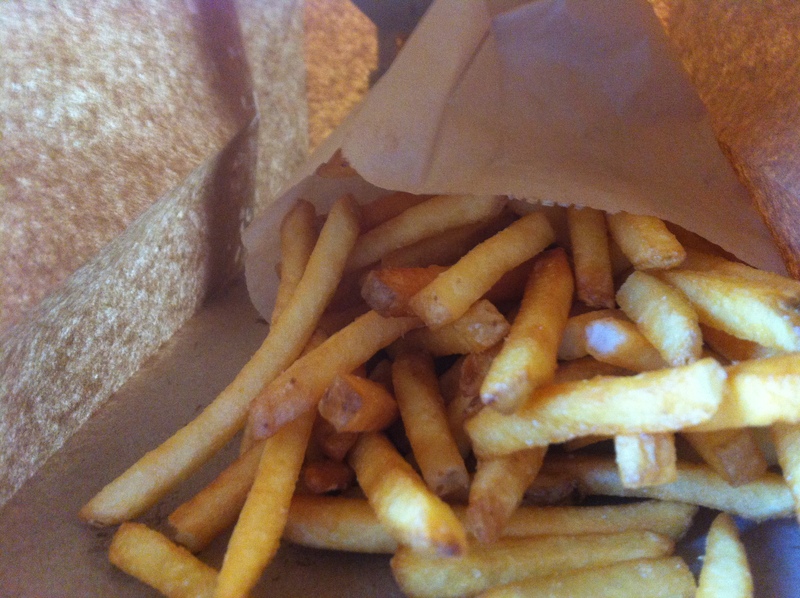 I was a little surprised that fries cost extra as a substitution for cole slaw – brought my meal total up to $11. Figure a burger and a beer, with tax and tip, will run you about $20. Food was brought out quite quickly, which was nice, as I was ravished, and expected a looooooooong wait with the packed house. My first reaction was that I was a bit thrown off by the state of the cheese. It didn’t seem to be all there, though upon further study, the bun just appeared to be hogging the cheese from the burger. 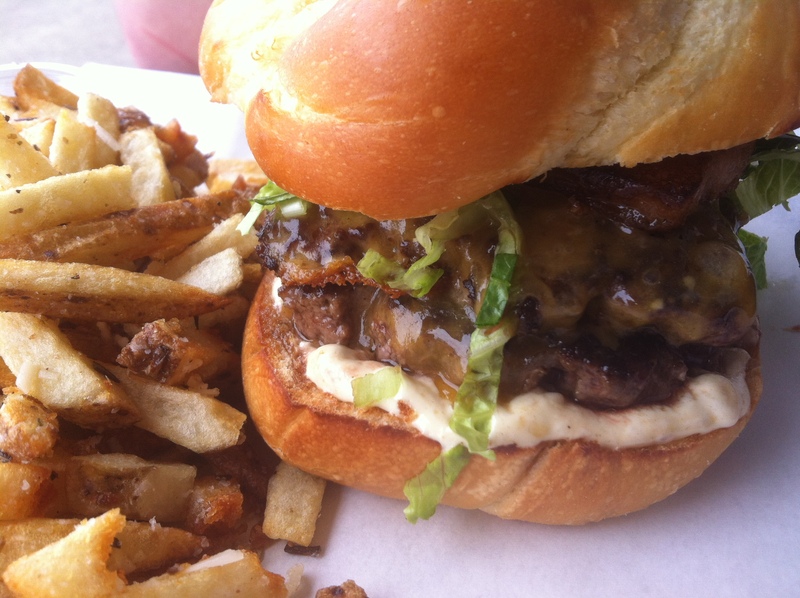 OK…that’s all well and good, but it made evident that there wasn’t much bacon – just two thin strips – not enough to compliment a burger sporting bold flavors in a chipotle mayo and spicy cheese. Before digging in, I opted to add some ketchup and the habanero hot sauce they provided us. Mixed together, they turned into a fiery Hell Ketchup. The chile masochist in me may have put a bit too much on, but not enough to upset the balance of the meal. A fun little twist on routine. Ah, but enough is enough, Conrad, just eat your damn food already! I wolfed it down in five minutes flat. It was definitely a spicy burger, no thanks to me. The meat was conservatively seasoned – the effort was there, although it probably could’ve used a bit more salt. This salt lack should’ve been made up for by the bacon, but my suspicions about insufficient bacon levels were confirmed – just not enough bites with that salty bacon kick. But when all of the flavors (including the bacon) came together in one mouthful, the vision was certainly there. The smokiness of the bacon brought out the meatiness of the burger, mixed with the creamy chipotle may (which had undertones of that deep chipotle spice), as well as the upfront bite of the jalapeno in the pepper jack, and my own Hell Ketchup. But at the same time, that was also frustrating – there was a lack of consistency. The confluence of flavors should show up in most, if not every bite – not just a few. That bugged me. As far as the sides go, I’m glad I made the decision to upgrade to fries, but was a bit irked by the fact I had to upgrade to them. They were fine – served warm, seasoned correctly, and went nicely with the aforementioned Hell ketchup. They did their job. The service was really on point at Triple Rock. Despite being filled to capacity, our waitress came by all the time, and even the manager was taking care of us with a smile. Then the waitress even bought the birthday girl a 21st birthday beer! This was about the time another dinner-goer gifted his 3/4 full pint of beer to me (side note train of thought: Pinnacle Pale Ale – very light, a bit watery, OK but wouldn’t get it again, good beer for the faint of heart.) Can’t say no to that! Made for a nice post-dinner stroll with the birthday girl! I’d definitely come back here with a group of people – the beer is great, the food is more than passable, and I felt really welcomed by the staff on my first trip here. Probably won’t rock your food world, but it won’t disappoint for a fun evening out. To finish, some food for thought: we sat underneath their gigantic “Lunch” sign (stole this picture from the interwebs). When I go to a brewery [during the day], I always think, hey, it’s 5:00 PM somewhere. But you know, it’s always lunch somewhere, too – no reason to be ashamed of a lunchtime brew. Some places rely on their reputation. I’ll be honest upfront. Fenton’s is a fun, family friendly establishment that will make even the most well-behaved children giddy. I went there as a kid a few times – the food was good, the ice cream even better, and I certainly didn’t care how much it cost! So if you want a fun family evening out (translated: your kids will be happy), Fenton’s will fit the bill perfectly. 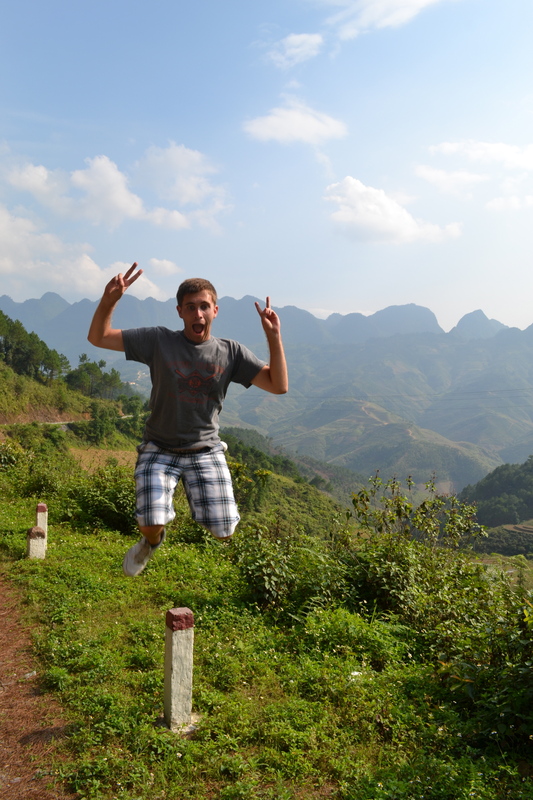 But after going here as an adult, with other adults, I’m not in any rush to go back. The biggest issue is that the food isn’t very good. But the quality of dishes served here will never increase because the restaurant is packed every night – and people are eating full meals, not just ice cream. There’s no reason to change what doesn’t seem broken. But how did Fenton’s get this way? 1) From all reports I’ve heard (+ my 11 year old memories), the ice cream is very good. Well, this fact is a relief, since it is Fenton’s Creamery. And it is definitely a positive selling point for the restaurant. * And the Yelp reviews agree that the ice cream is what brings them back, so I’m relieved I’m not the only foodie in this boat. 2) They’ve been serving safe American food since dinosaurs walked the Earth (OK, I lied, only since the turn of the 20th century). No offense intended to my dad, who grew up five minutes from Piedmont Avenue in the 50s and 60s, but with how evolved [American] cuisine was in the mid-1900s, it wouldn’t surprise me if generic diner food was “cool”. But although American cuisine has come leaps and bounds in recent years, the vast majority of the population still seems to have very tame, basic food desires, and would prefer to go to a place that serves up safe American sandwiches and salads. I guess I was that way until I was 15 or so. 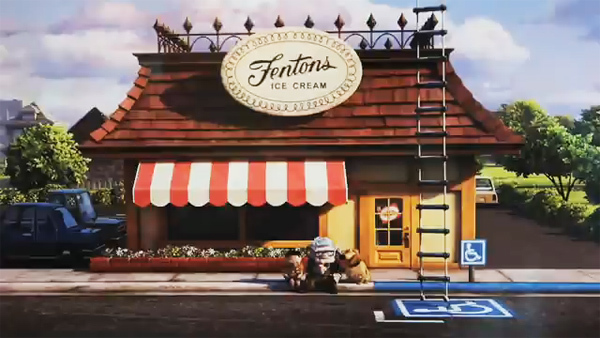 3) Fenton’s gained an additional boost after showing up in the 2009 Pixar film Up! Well, if kids and families are essential to the success of a business, this cameo would certainly help. And I think it has. I actually watched Up! as part of an undergraduate paper examining the influence of Miyazaki/Studio Ghibli on Pixar films, but I don’t think I watched the end credits, where Fenton’s shows up! Anyway, I have to admit, it does look inviting. OK, well I think I’ve surpassed my hipster quota of making fun of the average American palate for this week. Let’s get onto the meat of the matter, shall we? We never even determined why I decided to revisit this American tradition. I actually ended up at Fenton’s for the first time since 2001 or so with some friends after an evening of drinking at Kona Club up the street. Wasn’t feeling classy enough for Adesso (nor did I need another drink), so Fenton’s seemed like a safe (there’s that word again) choice. The benefit of showing up at midnight is that the families are all gone, so there’s no wait for a table. I should have just ordered ice cream, loved it in the moment, and regretted it the next morning, but the nerd in me was really curious about how the burger would be. Fortunately my bff (best foodie friend) Emily wanted to share a burger! Perfect. Surprisingly, nobody got ice cream at our table, so I neglected to take any pictures of desserts…sorry for the abundance of text, and lack of pictures! 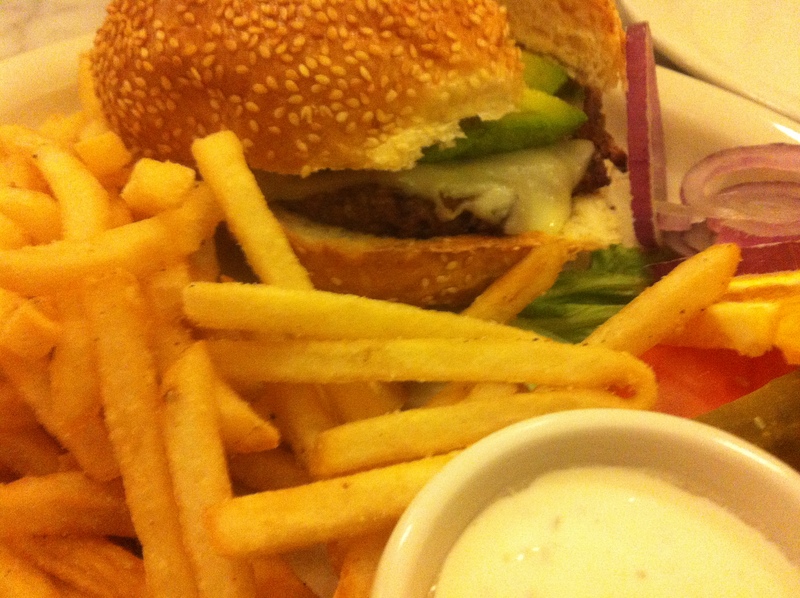 We opted for the California burger – avocado and jack cheese – a surefire combination. Annoyingly, they won’t serve anything below medium, which sent off red flags about how “medium” they’d even serve burgers. I can see, and understand, the thought process suggesting that because the heart of their business is kids, perhaps it’d be a good idea to keep mid-rare meat off the table, but I still feel bad for the patty – especially when they’re advertising grass-fed beef (Durham Ranch). The burger was in the vicinity of $10.50 + $2.00 (!) for a side of fries with the burger – I didn’t really think to remember the exact price at the time, but I expected something good for that price. One friend shared his jalapeno poppers with the table. I was not a big fan of the breading – too heavy. 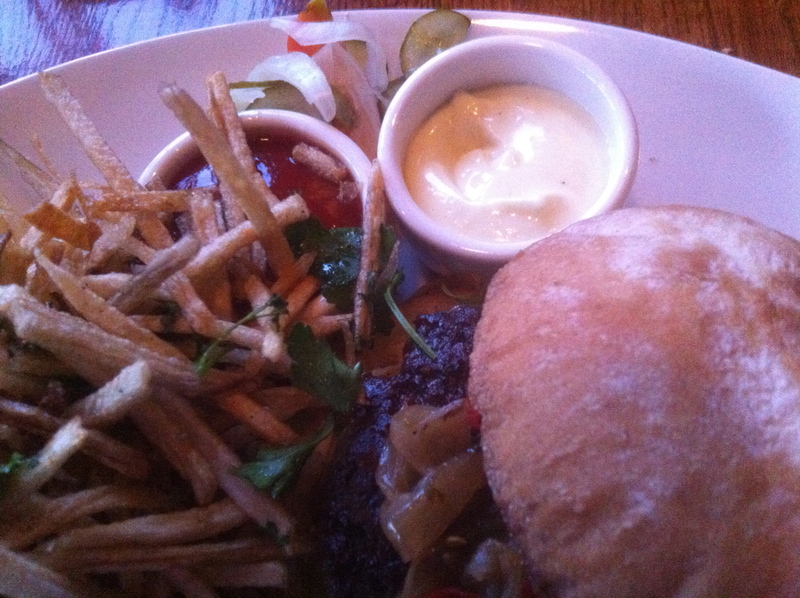 When our main courses arrived, the burger looked exactly like what I’d remembered from a decade prior. My first thought was that the toasted sesame seed bun looked extremely inviting. 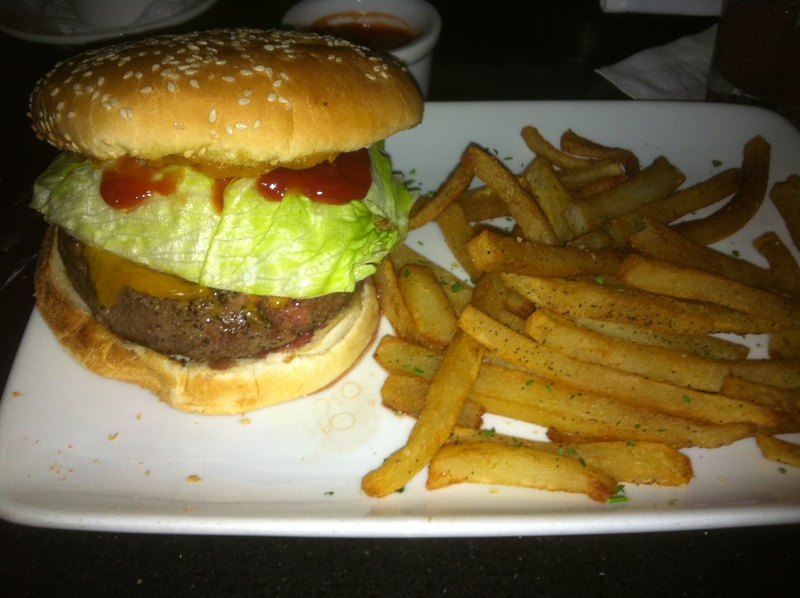 To be honest, I didn’t expect the burger to be cooked correctly, and sure enough, it was approaching well done. Why even bother offering pink at all if you won’t serve my burger how I ask for it? Overcooking the soul out of a burger should be a crime – the burger loses its identity (and especially when you’re advertising good-quality, grass fed beef!) And to be honest, I’m glad I only had half a serving – it was boring, bland, dry, overcooked, and extremely forgettable. But hey, what unsuspecting kid is gonna know the difference, right? The bun was actually quite nice, and the smeared bits of fresh avocado on the toasty bun are what I most remember about the meal. And then there were the fries. Oh the poor fries. They were lukewarm at best. The portioning of the fries was also laughable, too. Of the four dishes served, there were four extremely distinct portion sizes of fries – one girl had 50% more fries than we did! Off putting, but not nearly as much as the fact that they were bordering on cold. But Emily didn’t mind, and they did have some radiating residual heat, so I made no fuss. 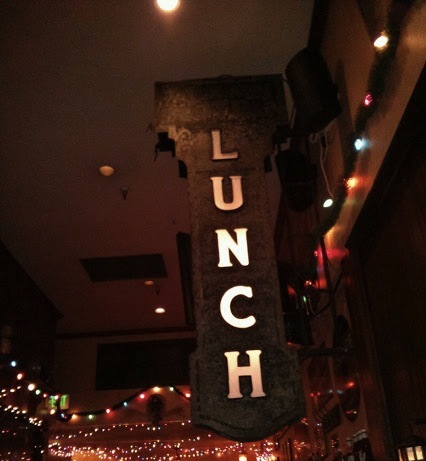 I thought the service was quite good – our food was served quickly and my water glass was always kept filled. Our waitress never seemed like she was fading, despite being after midnight – props to her, and she was tipped accordingly. Yeah, I should’ve just gotten ice cream, but curiosity got the best of me. The food here is extremely average, and I don’t see any signs that it will change, even if it does last another 114 years. It represents much of what I see wrong with the role food plays in the diet of American kids, and it annoys me that they can charge such high prices to people who just don’t know any better. But last I checked, that’s a part of capitalism, so I’ll take out my dentures now and go back to my rocking chair for nap time. Oh and get your darn basketball off my newly mowed lawn you spoiled brats! As far as future plans go, I’ll come try the ice cream sometime: it has to be really good, right? If you’re a kid, you can probably change the ratings to A-/A. Seriously, it’s a great place for kids. *Post Script: I actually came back to Fenton’s so that I could try the ice cream. That’s ultimately what they are known for, right? I left empty handed: $4.45 for a “petite scoop” of ice cream (I saw the size of a petite cup). You’ve got to be kidding me. I just walked out and bought a tub of low fat cookies ‘n cream ice cream at Safeway for $2.50. I was bumbling around SF and the Peninsula one day after watching an exciting Giant’s game at Phone Company Park. After picking up some people in Millbrae, a motion was set in favor of eating dinner. Oddly enough I wasn’t that hungry, so I was not vocal about where we’d go. But as fate would have it, everyone else decided on burgers! 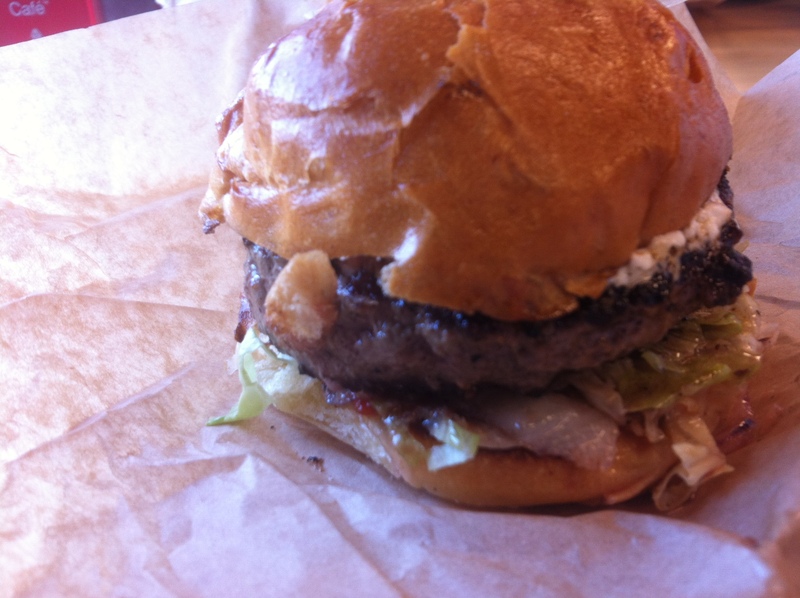 They in fact chose Pearl’s, which happened to be near the top of the list of Bay Area burger joints to try. 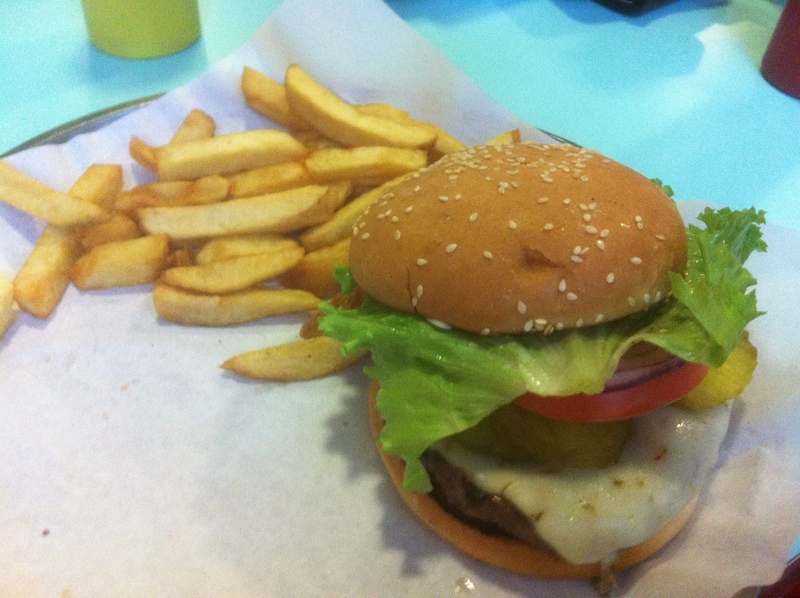 So color me hungry – sure I’ll have a burger! I was feeling a bit adventurous, so when I saw the Spicy Sly burger with a pumpkin habanero sauce? Yes, please! Opted to mooch a few fries and sip of milkshake off a friend. There’s not much room to eat at this Pearl’s – it’s a small restaurant, and you should be prepared to wait. We actually lucked out and found room for the 6 of us – perhaps we were on the early side for dinner in urban San Francisco (about 6:30 PM). The place is clean enough, and it’s on a nice enough street, so I’d be fine coming here after dark. I knew I was in for a serious burger when it was served. 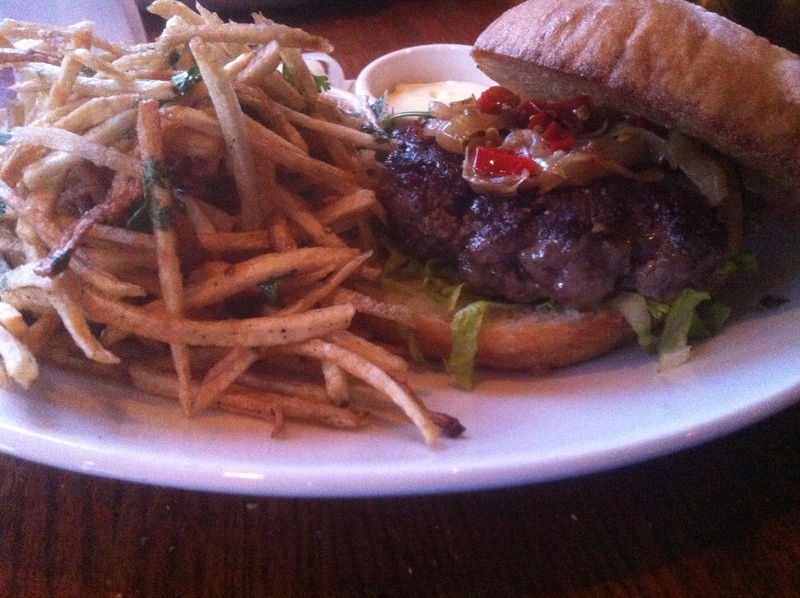 Literally, sauteed onions and peppers falling all around a juicy burger, and nice firm bun (Acme, I believe). It reminded me a lot of a Philly Cheese Steak, especially with the consistency of the melted cheese smothered all over the burger. But what I got, in fact, as I bit into this serious meal, was a big kick in the mouth. The habanero sauce was very vinegary, reminiscent of a Texas-style BBQ sauce, except with the addition of a substantial amount of habanero. Mind you, I am certainly not a spice wimp; rather, I am more than willing to endure a post-pepper temporary numbness in my mouth for the sake of deliciousness. And by the time this big boy was done, my mouth was pretty much numb. And the sauce, let me tell you, was really, really good. But how was the burger as a whole, you ask? What, you mean cheeseburgers aren’t made out of peppers? So my honest opinion is that there was too much sauce on the burger. As time went on, everything got a bit soggy, as it became soaked in this spicy sauce. Couple that with the abundance peppers and onions which already contain liquid of their own, and you start to run into a problem. My burger definitely got soggy. Also, because the sauce IS so potent, a smaller amount of sauce would create a much nicer harmony of flavors. 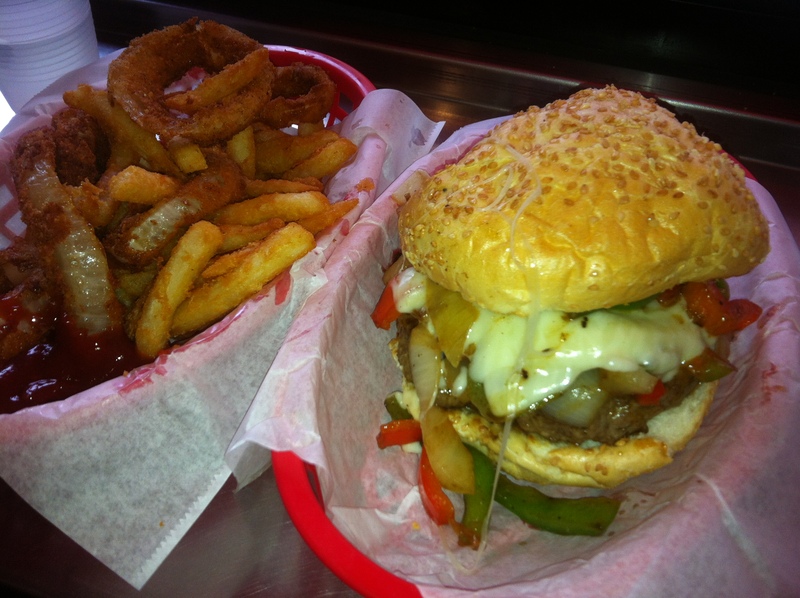 All the ingredients are made for each other – chili sauce, peppers, onions, jack cheese, burger patty, sesame seed bun. But balance is key when you’re combining salty, spicy, and sweet. 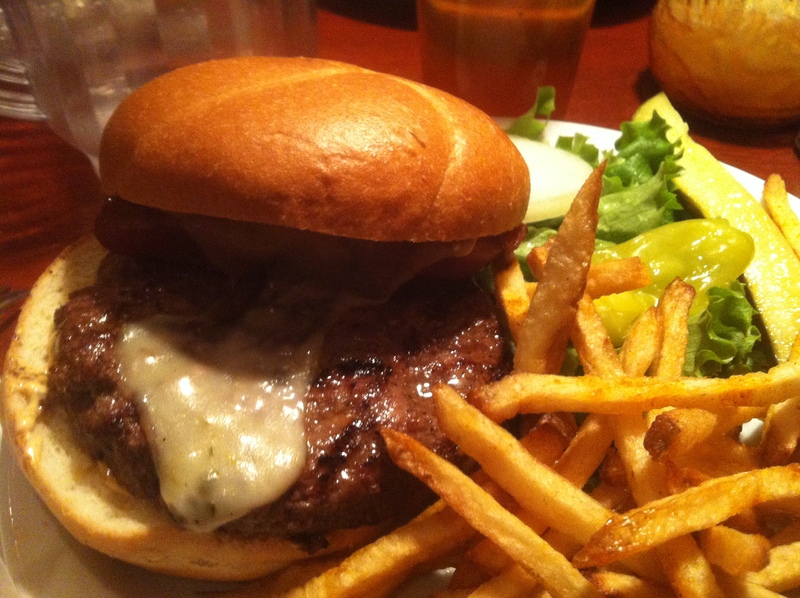 The problem is that because the sauce was so overwhelming, it’s hard to talk about the nuances of the rest of the burger. I can say that the meat was definitely juicy, but the seasoning of the beef was lost, so I don’t really know if the proper seasoning was used (Yelp reviews would suggest it is). Also, there were so many peppers and onions, that their texture took over the melt-in-your-mouth feeling of a great burger patty. The once-crispy bun quickly became a bit soggy as well, so more texture was lost. So overall, plenty of flavor, but a bit lacking in execution. Judging by the intensity of the sauce, I’m guessing this is the hardest balance to get right of all the burgers on the menu. I can look past the flaws in execution if the flavor is there, but next time, I’d really prefer a tidier burger – a reasonable portion of sauteed veggies, and less spicy sauce, and you’d have a home run, here. As I noted above, I only tried a few fries, and an onion ring, and I was satisfied with them. The fries were thick and soaked up lots of habanero sauce, and the onion rings passed the homemade test. Success! I tried a sip of milkshake (Oreo Cookies n’ Cream), and it was very good. I probably wouldn’t get a milkshake if I was having a burger with sweet toppings, but with the right burger goes the right milk shake! My friends recommended the Nutella milkshake, for what it’s worth. I feel like I’ve been fairly harsh on Pearl’s. Everything was really good – the ingredients are there, the talent is there, and the price is right – everything was very tasty – but in this case the subtlety and balance was off. 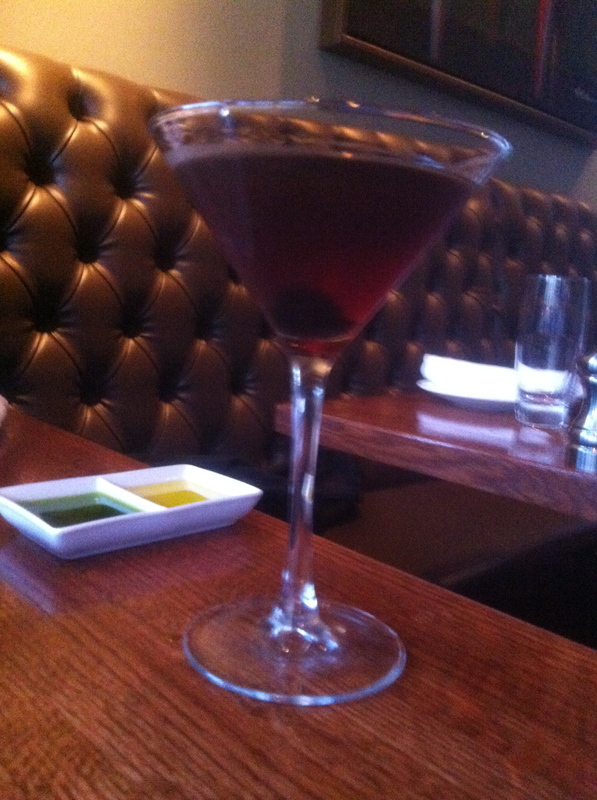 I would come back to Pearl’s again, but maybe opt for something a little more…shall we say…standard.